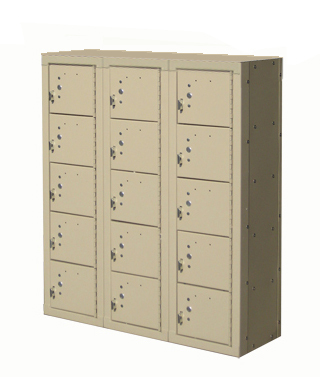 These Box Lockers with Legs are available on www.buyusedlockers.com where they have a huge selection to choose from if we need additional supplies. 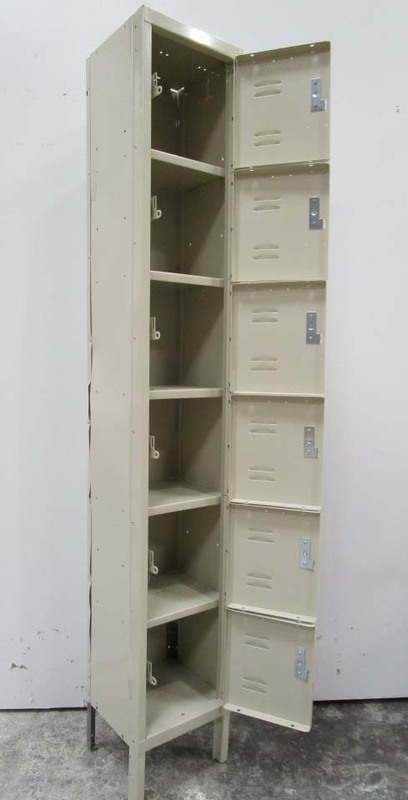 We have 6 six tier box lockers (1 frame) available that are 12” wide x 12” deep x 72” tall with 6” legs, giving them an overall height of 78”. They are compact yet efficient, the perfect size for storing books, cell phones, digital gadgets, electronic tablets, handheld video game consoles, purses, wallets and other small personal belongings. These lockers are in excellent condition and 100% functional. They are a wonderful neutral tan color that will blend in well in your employee break room, gym, office, recreation center or school—or any other place where you need to provide secure storage for a large number of users in a small amount of space!